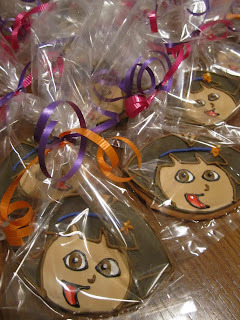 ahhh dora dora dora....when i was asked to design some dora cookies for a little girls birthday party i was excited. i knew this was going to be a challenge since this would be the first time doing dora cookies. 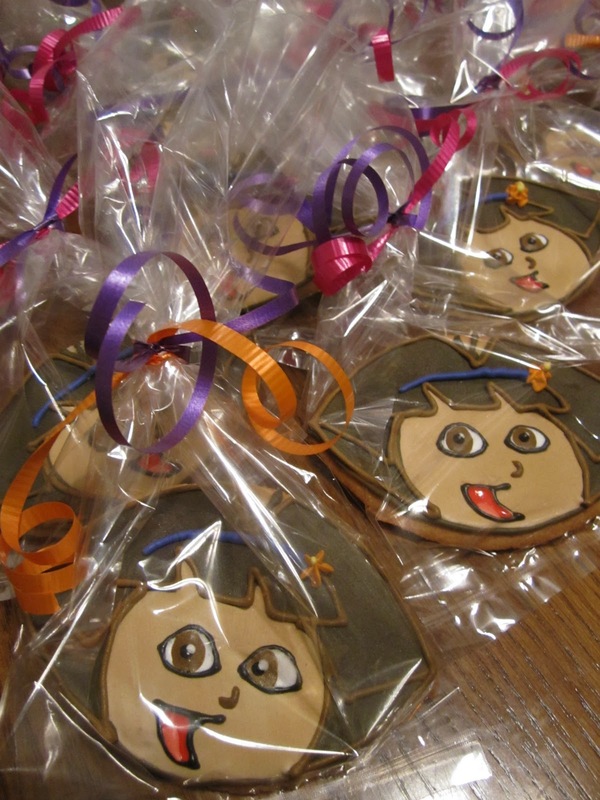 i checked online to find almost ALL the dora cookies were just of her face. so i made my own cookie cutter out of cardboard & went to work. they came out quit nice i must say. i am happy with the turnout and hope the little girl thinks so too ;) happy baking!! !